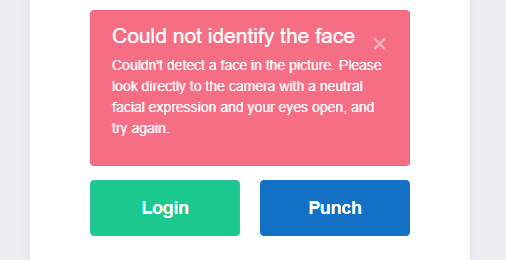 How to punch in or out, or login using Facial Recognition. Once you have Facial Recognition setup you can follow these setups to use it. 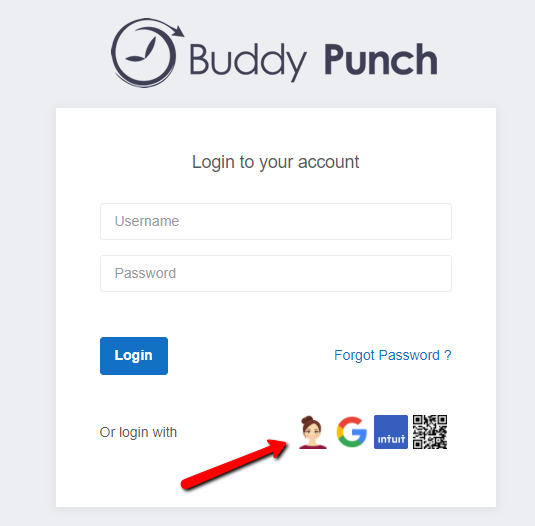 We have other articles for setting up Facial Recognition on your account as well as adding in a profile photo to use for Facial Recognition. If that is already done you can follow these setups to use Facial Recognition. If not, please see our other articles. 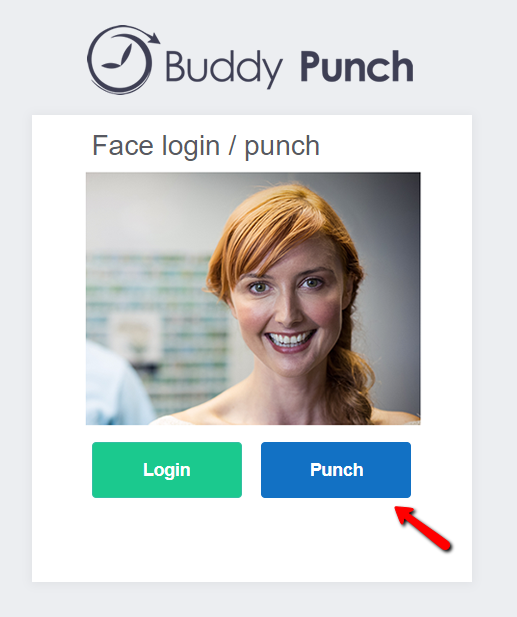 When punching in users will just look at the camera and click the "Punch" button or Login button. 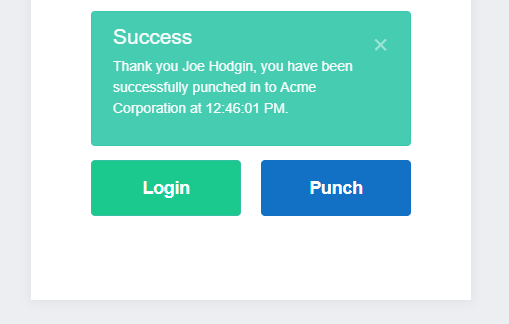 It doesn't matter if they're punching in our out, they push the same "Punch" button.